A magnificent drama of vengeance, infidelity, and retribution, "Anna Karenina" portrays the moving story of people whose emotions conflict with the dominant social mores of their time. Sensual, rebellious Anna falls deeply and passionately in love with the handsome Count Vronsky. When she refuses to conduct the discreet affair that her cold, ambitious husband (and Russian high society) would condone, she is doomed. Set against the tragic love of Anna and Vronsky, the plight of the melancholy nobleman Konstantine Levin unfolds. In doubt about the meaning of life, haunted by thoughts of suicide, Levin's struggles echo Tolstoy's own spiritual crisis. But Anna's inner turmoil mirrors the own emotional imprisonment and mental disintegration of a woman who dares to transgress the strictures of a patriarchal world. 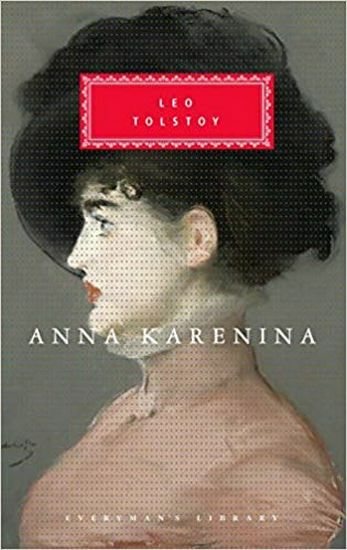 In "Anna Karenina" Leo Tolstoy brought to perfection the novel of social realism and created a masterpiece that bared the Russian soul.